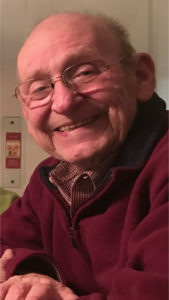 Rothenheber, Henry N. (March 5, 2017) Suddenly has gone to Jesus. Beloved husband of Eleanor (nee Franz). Loving father to Jennifer (Vincent) Ruggiero, and the late Thomas H. He will also be missed by his 3 grandchildren Tommy, Anthony, and Hannah. 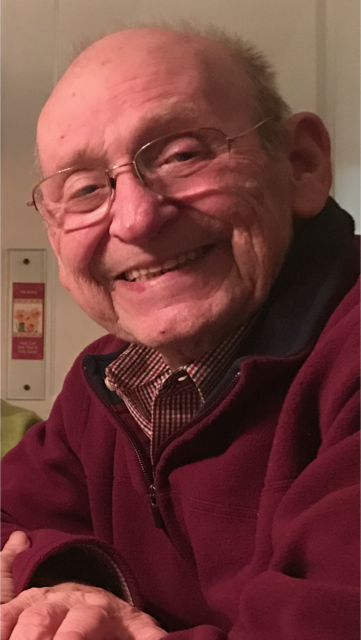 Relatives and friends are invited to Henry’s Memorial Service Saturday 3/11, 11am Christ’s Lutheran Church, where friends may call 9:30am. Interment Union Cemetery at St Miriam’s Old Catholic Church. In lieu of flowers contributions in Henry’s name may be made to Christ’s Lutheran Church, 700 E. Pennsylvania Ave, Oreland, PA 19075. Words can’t express how sorry I am. Hold fast to the special times you shared with him. Above all remember how much he loved you, your brother, your mother, Vin, and the kids. Your father was a very special man. I don’t think I ever saw him without a smile. No matter the situation he always went out of his way to make everyone feel welcome. I have lots of great memories of your father like being at the shore with them, parties at your house, him at your house just sitting with a book in his hand. But what makes me smile the most is remembering how he was beaming when each of your children was born, especially the tears in his eyes when you named Tommy. I have fought a good fight, I have finished the race, I have kept the faith. Now there is in store for me the crown of righteousness, which the Lord, the righteous Judge, will award to me on that day and not only to me, but also to all who have longed for his appearing. My deepest condolences and many prayers to you and your family Jen. Dear Elinor and Jen, I am so sorry to hear about Henry. He was a wonderful man who always made me feel good when I talked to him. He was full of fun and laughter. When I taught at our nursery school I always enjoyed his sense of humor and the little “tricks” he played on the other MondayMorning Men. I hope the many happy memories you have will get you through this sad time. You are all in my thoughts and prayers. Mrs. Rothenheber and Jen, very sorry to hear of your loss. Thoughts and prayers to your family. Jennifer , I am so sorry for your loss . I will definitely keep you in my prayers .